Have you ever picked up a non-Nintendo game and thought it would be a great fit for the Wii? Recently I’ve started digging up more PC and PlayStation games, both old and new, and this feeling has been hitting me more and more. Sometimes the idea passes pretty quickly, but in rare occasions it sticks with me. Three franchises in particular stand out to me as prime examples of games that could potentially work really well on Wii, either due to their control schemes or to their target audience (or both!). Anybody remember the Nintendo 64 port of the original StarCraft? Yeah, me too. Back then Blizzard managed to make the 64’s controller work in place of mouse-and-keyboard control, so I imagine they could do some pretty clever things with the Wii Remote and Nunchuk with the more recent StarCraft II. Sure, the Wii wouldn’t have the same support for hotkey shortcuts that are essential to online play (although for all we know they could find a way to incorporate support for USB keyboards), but a Wii version of StarCraft could still have tons of potential. Even though StarCraft is primarily a Class A MMO, the single-player is still strong enough that those who aren’t particularly enticed by PC gaming or competitive online (see: me) might still stand to gain from a Wii release. Of course, with the PlayStation Move now out and in the wild, it’d be hard to find ways to entice Blizzard to choose Nintendo over Sony due to Wii’s inferior power and weak online system, but hey, a guy can dream can’t he? So while it’s safe to say that this one only exists in the realm of “that’ll never happen,” I still think a StarCraft + Motion Controller combo would be the coolest collaboration since Raynor teamed up with Zeratul. Kooky premise and atmosphere? Check. Lovable characters and colorful art style? Check. Simple motion-based gameplay? Check. 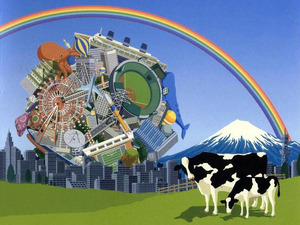 Since it has all the makings of a great Nintendo game, why hasn’t Katamari come to Wii yet? Rolling the Katamari could adapt easily to Wii Remote control, the game’s graphics would be a good fit for the system, and the child-friendliness of the series makes me scratch my head in wonder as to why, as a third-party title, it hasn’t been brought to Nintendo’s audience before. Strong multiplayer would be a must – the original PS2 titles had what many saw as a throwaway two-player component and online leaderboards alone just don’t cut it for fun-for-the-family games. My wife and I are die-hard Katamari fans who have been hoping for something like this ever since we encountered the series a couple years ago, so let’s just say I have an especially vested interest here. While Kingdom Hearts may not necessarily be a favorite here at ZeldaInformer, we can’t deny that its lighthearted and simple approach to the epic action RPG genre, coupled with its connection to beloved Disney tradition, means that it fits right in with Nintendo’s typical audience. Personally I’ve never understood the choice to keep the core series on PlayStation consoles, since the target age range for the games has always been Nintendo’s target age range, compared to the PlayStation’s more adult audience and generally grittier game library. 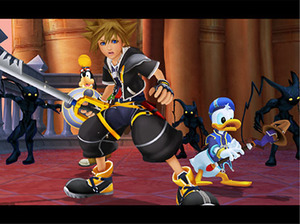 We’ve already seen a trend towards remastering old PS2 titles for the PS3, but I think bringing Kingdom Hearts over to Wii (or even to 3DS) would be a good way to extend the life of the older games in the series while delivering them to a much wider audience – much better at least than a PS3 version, which would just wind up hitting the same customers again. Of course, they could go even further and surprise everyone by releasing Kingdom Hearts III for the Wii. But we all know that won’t happen. Now, I realize that not everyone will agree with this list – StarCraft in particular is so well-rooted in PC gaming that it seems difficult to imagine it ever coming back to a home console – but nonetheless it’s a well-known fact that the Wii suffers from a lack of weighty third-party support, so this is still an important topic for Nintendo fans. If you have your own dreams for third-party additions to the Wii family, shout ‘em out in the comments and make them known!